The snow guns were blasting on a recent November evening at nearby Stowe Mountain Resort when Charlie Shaffer sipped a glass of red wine by the long wooden bar of his popular après-ski joint, the Matterhorn, and announced that he's thinking of hiring extra staff this winter. "I'm preparing to get a lot busier," Shaffer explained, echoing the thoughts of many Stowe business owners. They have a reason to expect bigger crowds. The entrance fee to Stowe Mountain has been slashed by roughly 50 percent, from $1,899 for an adult season pass last winter to $899 for this season's multi-resort Epic Pass. It buys unrestricted use of Stowe Mountain, even at peak times such as Christmas week, and also provides access to 14 other resorts in North America, including Vail, Park City and Canada's Whistler Blackcomb. There are also limited opportunities at additional resorts, some of which are in Europe. Vail Resorts, the Colorado-based snow sports conglomerate that bought Stowe last year for $41 million and added Vermont's highest peak to its growing Epic family, is offering the deal. Now people are watching to see how the purchase will affect the town of Stowe, and how many new skiers will show up at the resort formerly known as the most expensive place in Vermont to carve a turn. When the ski area opens this Friday, some worry it could usher in a new era for the town of 4,300 people, in which the ski business is too good. Despite its many lavish chalets and condos, the historic village, with its white pillars and church spires, has preserved its small-town sense of place, as if it were captured in a snow globe. Additional visitors could potentially overwhelm both the slopes and the narrow local roads. Last winter, before the price drop, Route 108, known locally as Mountain Road, was already bumper-to-bumper during Christmas week and on some regular-season Saturdays as carloads of people inched along the only route to and from the ski area. "It was terrible, terrible," recalled Shaffer. On the worst days, traffic was backed up for several miles, according to Stowe Police Chief Donald Hull. Employees at some slope-side businesses couldn't get to work. Some motorists couldn't find parking spots once they arrived at the destination — which moved them to vent on the resort's Facebook page. Trapped motorists got out of their cars and tried to buy water and snacks at Pinnacle Ski & Sports, a retailer on Mountain Road that sells ski poles, bindings and boots — but no food, according to David Wolfgang, co-owner of the shop. Wolfgang, who insisted the acute traffic tie-ups only happened on a few days, said he's convinced Vail's new leadership can solve the problem. "I actually expect a big improvement in the traffic," Wolfgang said. And, yes, he plans to stock a few snacks at the counter this winter. Stowe Mountain's new general manager, Bobby Murphy, declined an interview for this story. Jeff Wise, the resort's director of communications, responded to certain questions by email but would not say how many new Epic Passes the company has sold on the East Coast. That's private information, according to Wise. Vail's public earnings reports do not break down regional sales, but they show strong overall growth. As of September 25, sales of Epic Passes were up 17 percent for the coming winter over the prior year, a report for stockholders shows. Estimates put the total number of Epic Passes circulating at more than 600,000. The company attributes some of the growth to the purchase of Blackcomb Whistler in British Columbia. But Stowe is the first New England resort in the Epic mix, and some locals, including Wolfgang, believe that's driving sales along the East Coast and over the border in Québec. Many Canadians already ski at Stowe, and Wolfgang predicts more will this winter due to the lower price and potential of visiting Whistler and other western destinations. 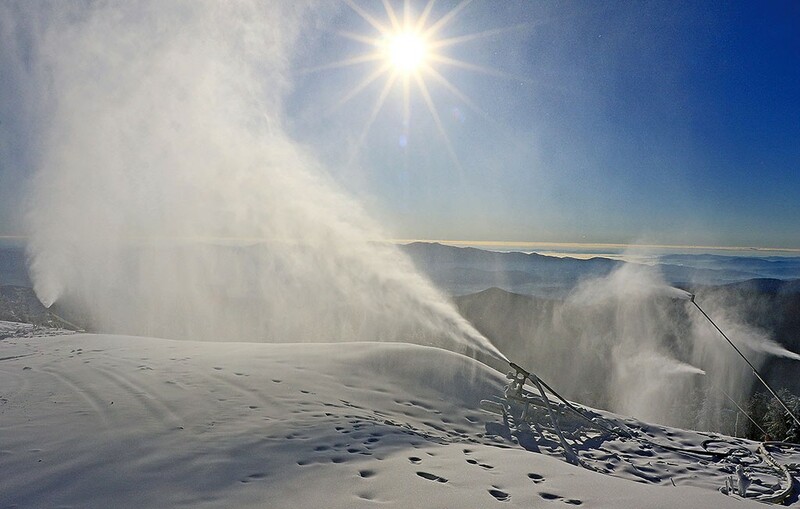 "The pricing will open the skiing up to a lot more folks ... I think that there will be a lot of newcomers to the Stowe experience," Wolfgang suggested. The resort has already made some changes. Last week, heavy-equipment operators put final touches on a new section of parking that adds 150 spots to its approximately 3,500-space lots. That's one of several initiatives to deal with the parking shortage, according to Wise. The resort has designated 300 permanent parking spots for employees at its Mansfield Touring Center, a cross-country ski area 2.3 miles from the downhill slopes. Expanding on a previous arrangement, employees will leave their cars there on high-traffic days and take a shuttle to the mountain, freeing up parking in the base area. Also planned: a more coordinated effort to direct motorists to spots and minimize wasted space, as well as additional shuttle bus service along the Mountain Road to encourage overnight visitors to leave their cars at their accommodations. From Friday to Sunday starting on December 8, the free Green Mountain Transit shuttle is offering rides as often as every 15 minutes between historic Stowe Village and the ski area. Visitors will be encouraged to use an app to track the route, Wise said. Another goal is to reduce the number of "flagged stops," when the shuttle picks up people waving for a ride outside of designated areas on the two-lane road. "The idea is that it will keep the buses moving along and the cars as well, in a timely manner," said Sharon Harper, marketing manager for the Stowe Area Association, the local chamber of commerce. She said Stowe businesses are "pleased" with the resort's traffic mitigation efforts, and those that provide lodging are filling up for the winter season. There's a rumor circulating that Vail Resorts plans to charge for parking at Stowe Mountain. Hefty day parking fees are common at western resorts. Skiers pay $30 a day at Vail, for example, which makes the Epic Pass less of deal. Shaffer, at the Matterhorn, said he's asked the new Stowe Mountain honchos if the speculation is true. "All I get are vague answers," he said. Wise insisted there would be no charge for parking this winter. Stowe Mountain was previously owned by insurance giant AIG, but it maintained a hometown feel. Many of the company's execs skied the mountain and had homes in town. They also worked carefully with environmentalists, although not completely placating their concerns, on the now mostly built-out village on the Spruce Peak side, which added hundreds of hotel, condo and mega-mansion units to the alpine area. That development has contributed to the heavier traffic. Cadillac Escalades barrel up and down Mountain Road, and private jets swoop into the busy Morrisville-Stowe State Airport. "There's certainly pros and cons, or should I say pros and fears?" Paul Lanz said in anticipation of the next round of changes as he stood outside a real estate firm on Stowe's Main Street, looking through the window at glossy photos of property listings. He's been coming to Stowe to ski since the mid-1970s and is relocating to the town full time from Florida this winter. Vail's purchase helped convince him that he could move his vacation rental business from St. Petersburg to Stowe. He's working with a real estate agent and plans to buy multiple properties to rent to vacationers. The sale of Stowe Mountain will bring more tourists to the area and increase tax revenue for the town and state, he said. Additionally, "It will help home values, which is why I'm buying now, to get a jump on it," Lanz said. What about those cons he mentioned? Lanz does not want to see Stowe turn into Vail, where he lived for a time in the 1970s. "Vail was a quaint ski town up until it wasn't," he said, citing "the long lines, the crowds, the cars." He continued: "It's lost its charm, so that's the fear." In this episode, Bryan previews some special wintertime activities on the mountains and in the tub.